Trying to place the music of saxophonist Marco Pignataro squarely in a single space, musical or otherwise, is a fruitless endeavor. His roots span oceans, his sound draws on myriad sources, and his open approach to influence and association(s) catapults him to another realm entirely. Yet all roads paved by heart and art in tandem tend to lead back to the Mediterranean for this man of passion and purpose. It's in that region, growing in the soil of Pignataro's fatherland, glistening against the waters of the Tyrrhenian and Adriatic, that his varicolored vision refracts and resounds with the greatest strength. Joining forces with the A-list crew of pianist Alan Pasqua, bassist Eddie Gomez, and drummer Adam Cruz, Pignataro produces music that's indebted to his global outlook, tied to a theme of love, and united by a feeling of longing. Whether these musicians are taking a passion dance across a Sicilian island on "Panarea," using tenderness as a guiding light on Catalan lullaby "Vou, Veri, Vou," harnessing and riding the gentle winds of Veracruz on "Xalapa," or bounding across the Puerto Rican lanes on "Calle Mayaguez," there remains a pleasant whiff of nostalgia and a slight lust for what once was. Pignataro, however, isn't stuck in the quicksand of memories. His eyes constantly look forward and his horn is as easily tempted to advance as it is to reminisce. Hearing this band in full bloom, as on the Chick Corea-esque opener, is something beautiful to behold. And the appearance of guest saxophonist George Garzone there (and on two other tracks) only furthers the fascination. But there's just as much wonder to be absorbed in a quiet confab like "Song For Lucy" as there is in the more excitable realms. Pasqua's harmonic sense and sensibilities add color aplenty to the music, Gomez is at once anchor and equal voice in the program, and Cruz proves masterful in his balance of power and restraint throughout. As a team, with Pignataro leading the way, these men conjure sounds both picturesque and poetic in nature. Track Listing: Panarea; Voce E' Notte; Otranto: Mov. 1 Il Mare/Mov.2 Estate; Alfonsina Y El Mar; Vou, Veri, Vou; Xalapal Almas Antiguas; Letter To My Son; Samba Em Preludio; Calle Mayaguez; Song For Lucy. 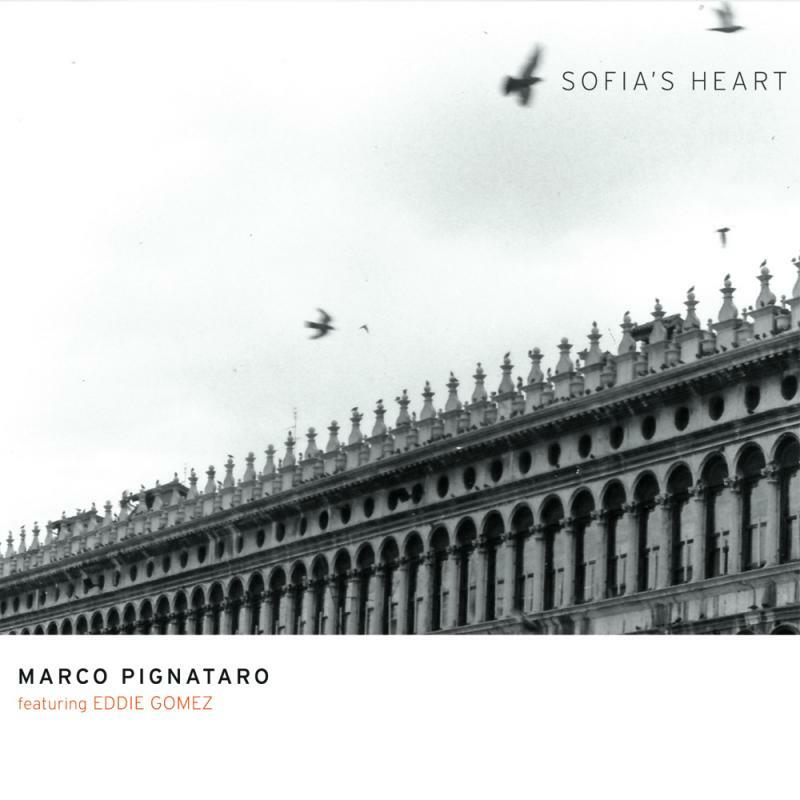 Personnel: Marco Pignataro: tenor saxophone, soprano saxophone; Alan Pasqua: piano; Eddie Gomez: bass; Adam Cruz: drums; George Garzone: tenor saxophone (1, 2, 9).